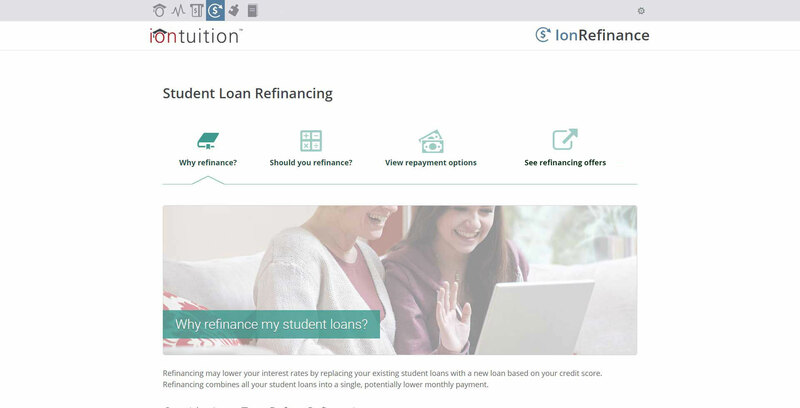 Everything for student loan management. Alleviate employees’ financial stress with our award-winning tools and support. 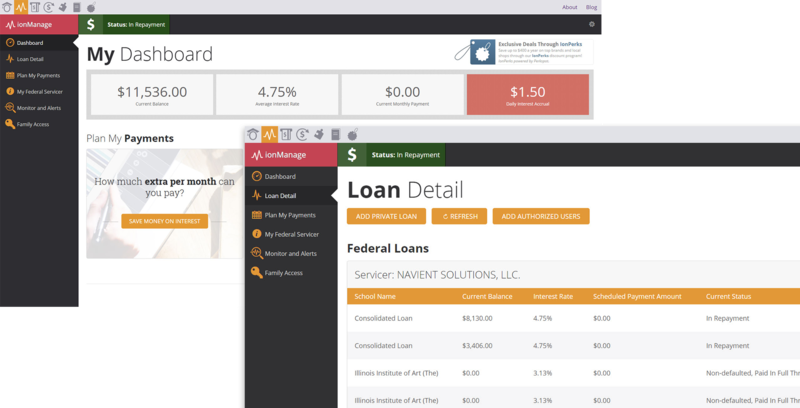 Employees can view all federal and private student loans in one dashboard. Loans are imported automatically – no manual data entry needed – from over 15,000 lending sources. Employers can make matching or fixed contributions towards employee loans. 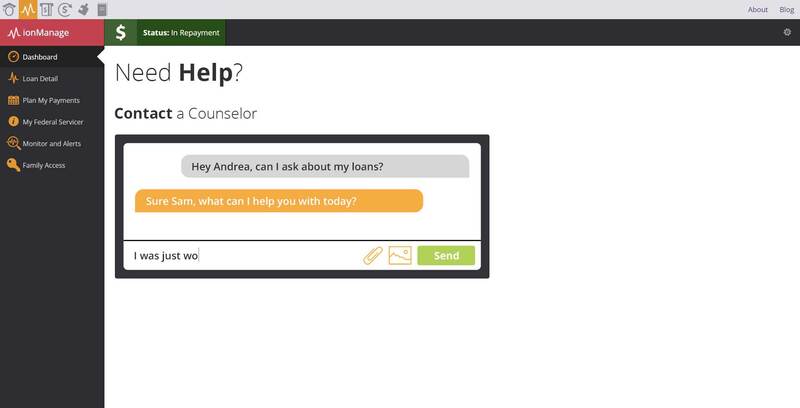 Our concierge team of Student Loan Counselors provide on-demand guidance and can even connect employees with their servicers in real-time for expedited resolutions. Student loan debt affects every generation. 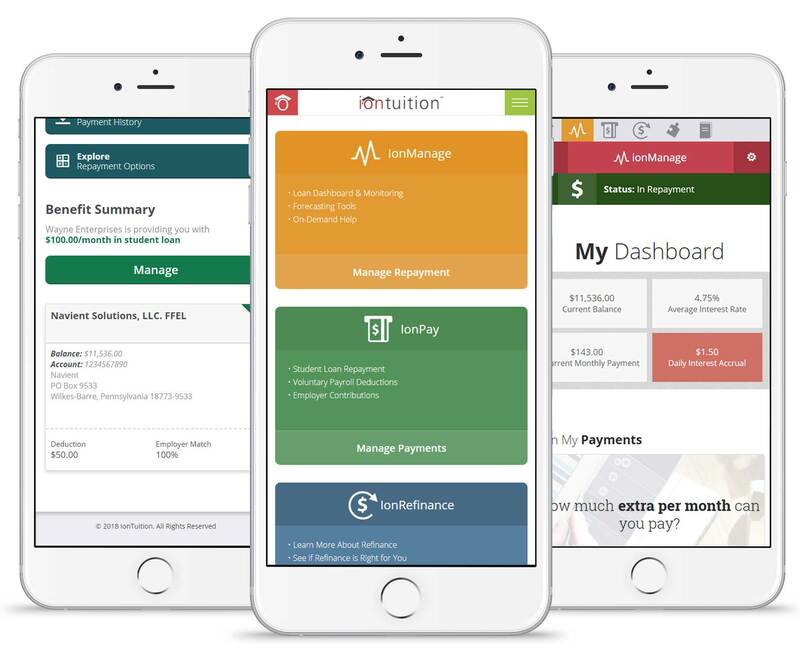 With Family Benefit, employees can give fully-functioning IonTuition accounts to their family members. 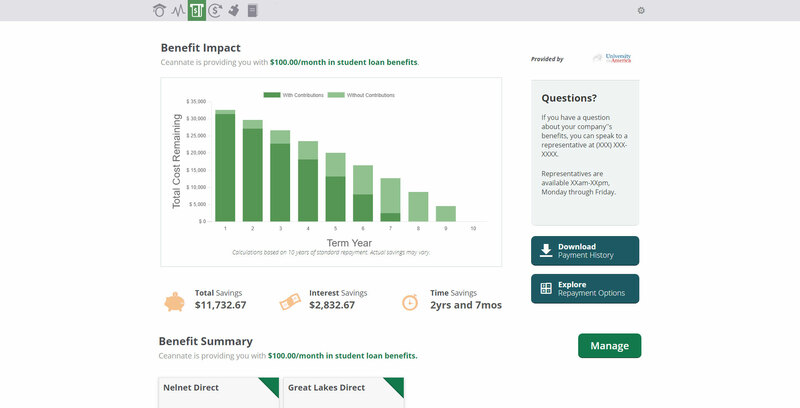 In addition to our student loan repayment benefits, we also provide a tool for selecting the right school based on cost and salary data of its graduates. 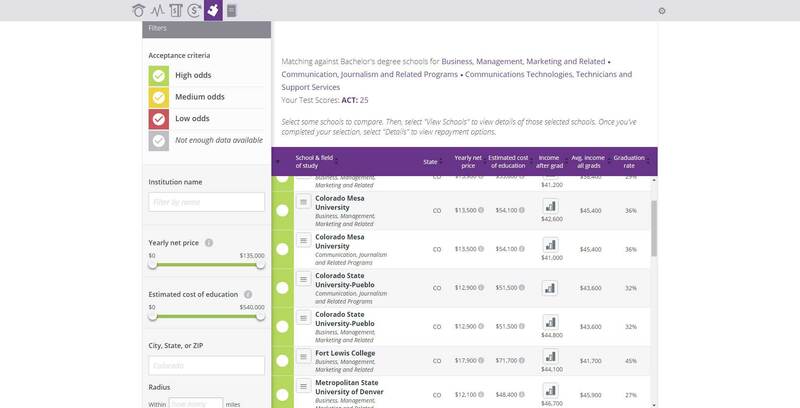 We also provide a tool for selecting the right school based on cost and salary data of its graduates. Our dashboard features responsive design and is also available in a companion mobile app. 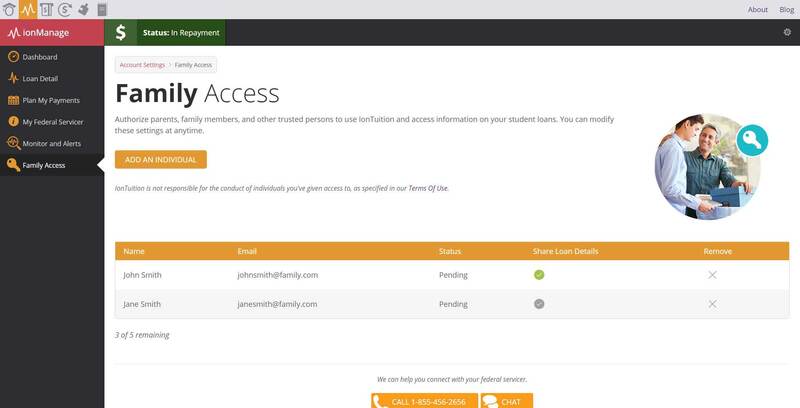 Employees can receive alerts via text, email or push notifications regarding the status of their loans.